Welcome to the Virtual Museum Community Dig Gallery. 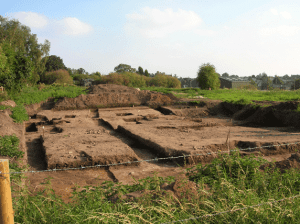 Here, we share our experiences of the exciting archaeological activity in Middlewich and proudly showcase the findings made by local community members and archaeologists. 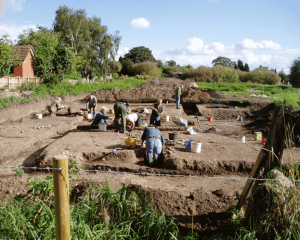 This is the place to discover images of dig volunteers getting to grips with our fascinating past, and listen to amateur archaeologists speak about their involvement in Middlewich’s excavation activity. 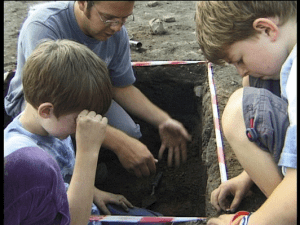 Attracting all ages and abilities, and with volunteers unearthing plenty of unique discoveries, the Middlewich Community Dig truly uncovered our town’s hidden history and brought together a community passionate about piecing the past together. Scroll down to begin. 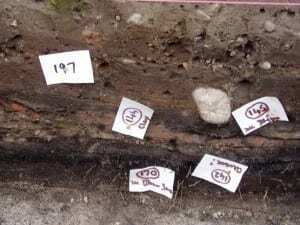 The team label the different layers unearthed in the excavated ground. 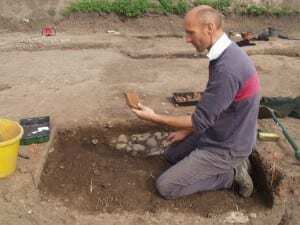 Laurence Hayes examines his exciting findings. Tim Strickland talks to the dig volunteers. Geoff Williams discusses the site and explains its history. 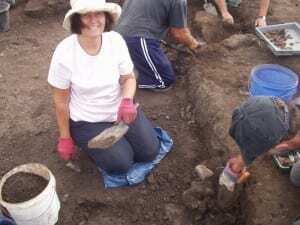 A proud dig volunteer shows off her findings in a trench. 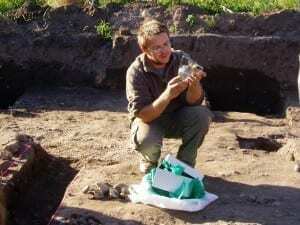 A community digger takes a closer look at a pottery find. 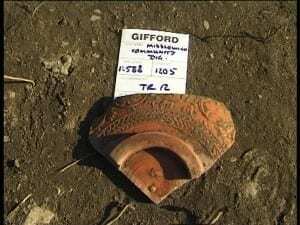 The team take care to accurately record historic artefacts. 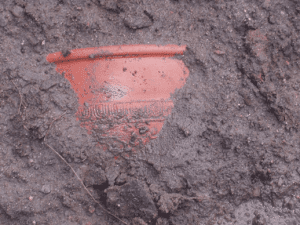 The exciting moment Samian pottery emerges from the earth. 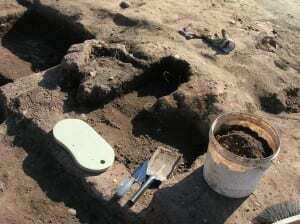 Tools of the trade necessary for our archaeological digs. 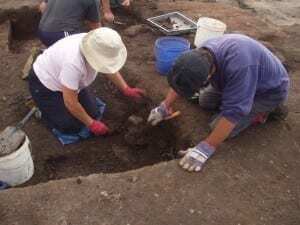 Community diggers carefully excavate the Roman site. A silver birch branch is discovered preserved in the mud. Our volunteer Julie hard at work in the trenches. 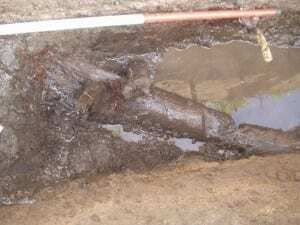 Volunteers work hard together in the trenches to unearth relics. 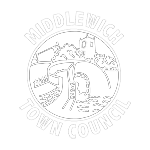 Young volunteers get to grip with Middlewich’s fascinating past. The site of the Middlewich Community Dig.